Transact and do business online with our USD internet card. 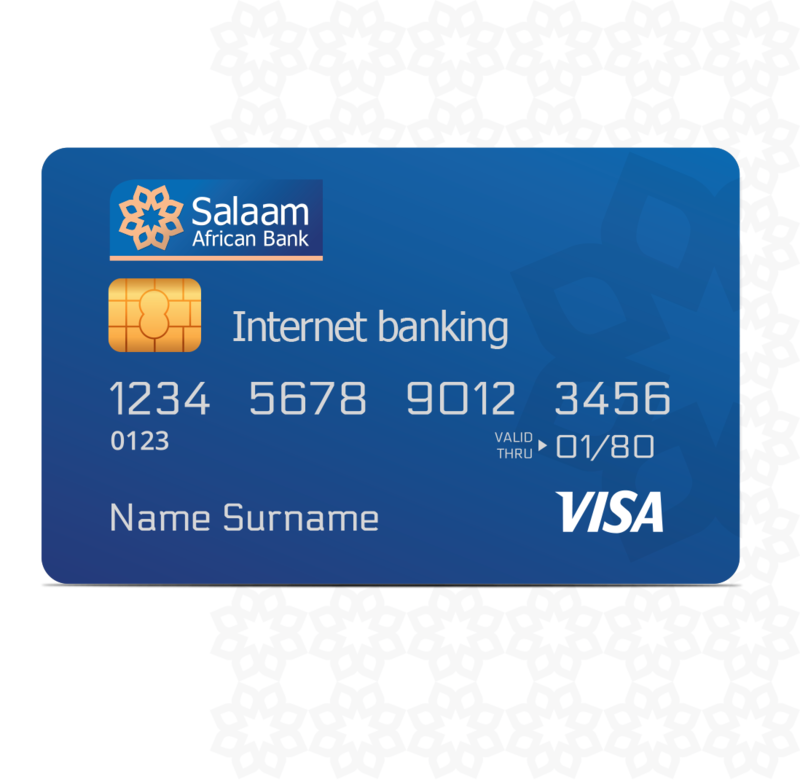 VISA Prepaid Internet card is a card designed for internet usage only which is available in USD currency. Card owners can top up funds for their online shopping. However, a cardholder can transact and purchase in any currency which will be converted to the card currency at a favourable FX rate. This is ideal for customers concerned about online fraud – because you can, if you wish, re-load your SAB Prepaid Internet card with only the exact amount of money needed for a particular purchase. You can reload this card as many times as you would like through any of our top-up channels. Experience better safety since your internet card cannot be used for ATM cash withdrawal. We provide you with access to your card statements – for further controls on spending you get a statement that keeps you up to date with your online purchases. The card is automatically linked to SMS service. You can track your expenditure through the monthly e-statement. A dully filled specific Internet Card application form.